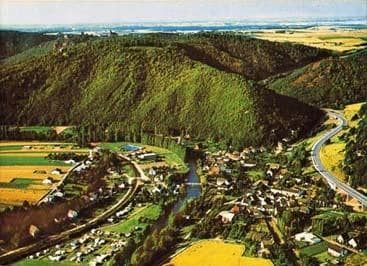 Campingplatz Friedensthal 位于 Abenden, Rheinland-Pfalz, 靠近 毗邻河流/溪流 .露营地 的营位 无遮阴营位 和 部分遮阴营位. 您可以租用 房间. 在 Campingplatz Friedensthal 您还可以 白浪激流帆船/皮划艇/漂流. This inspector visits Campingplatz Friedensthal every year and inspects the campsite based on more than 200 facilities and other points. The inspector is an employee of ACSI and not affiliated with the campsite. Good pitch location by the river. Dilapidated permanent pitches, poor reception service. No local information available. No light in the reception. Smelly, uncleaned toilets. Dish washing and electricity supply under lock and key.